An agile and secure serverless container instance service. You can easily run containers without managing servers. Focus on your business applications instead of managing your infrastructure. Customized container group can be created and scaled within seconds during traffic spikes. ECI works with Kubernetes clusters through Virtual Kubelet. 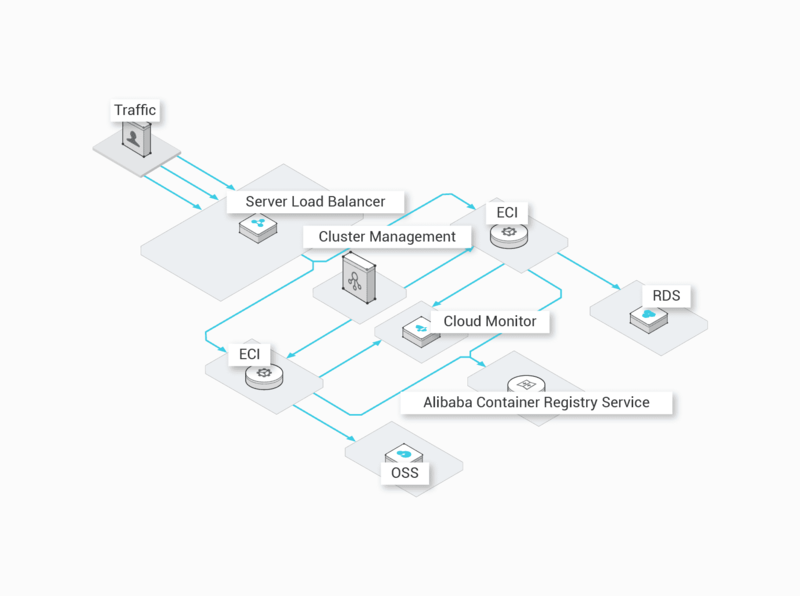 ECI has integrated with Alibaba Cloud products, such as VPC, Log Service, and CloudMonitor. Easily run containers without managing servers. Run containers without server management. You can run containers without need to taking care of manage clusters and maintain servers . To schedule and deploy resources, you only need to declare the computing capacity. Multiple container group specifications and container specifications are available. Containers have a minimum specification of 0.25 vCPU and 0.5 GiB memory. Container groups have a minimum specification of 1 vCPU and 2 GiB memory. Both containers and container groups have a maximum specification of 4 vCPUs and 16 GiB memory. Pay for the resources that have been consumed by the containers. Fees are calculated based on the container instance running time. Per-second billing is used and the billing cycle is 1 hour. You can launch containers in seconds. Containers can be launched in seconds for traffic that comes in spikes. Multiple rules and scaling group specifications are available for auto scaling. You can use the Kubernetes API to schedule container instances as pods. Based on Virtual Kubelet, ECI supports the Kubernetes API. ECI allows you to use the Kubernetes API to schedule ECI. Automatically scales computing capacity during traffic spikes. 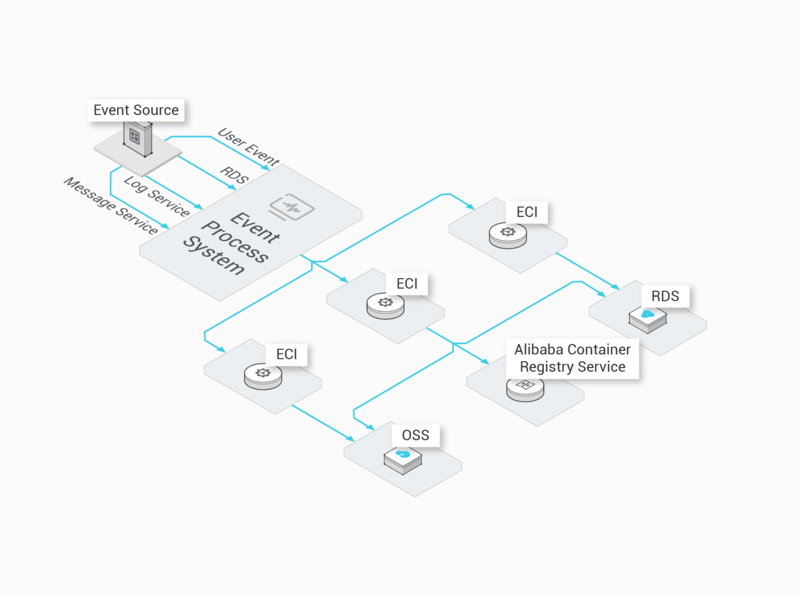 You can use ECI to automatically provision additional compute resources for your business to avoid system failures during traffic spikes and prevent resource wasted due to excessive resource provisioning. Quickly provisions compute resources and compatible with Kubernetes. Containers can be launched in seconds. You can launch container instances as needed, without need to provision underlying resources. Based on business data processing needs, ECI can create a large number of containers in a short period of time to handle big data and online AI requests. ECI supports hybrid scheduling with CPU/GPU resources and virtual machines/bare metal servers. Multiple container group specifications are available, allowing you to encapsulate container groups into tasks for applications and services. ECIs are billed based on the their running time and the actual usage of resources. 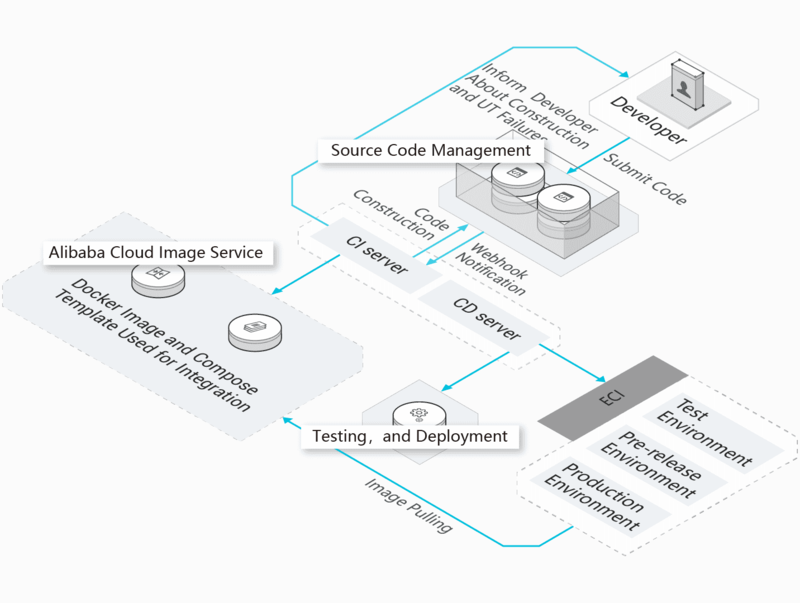 You can use ECI to achieve automated continuous integration and continuous delivery. ECI works with DevOps workflows to automatically complete container deployment, and accelerate testing case execution. This also enables you to create and delete containers at anytime. 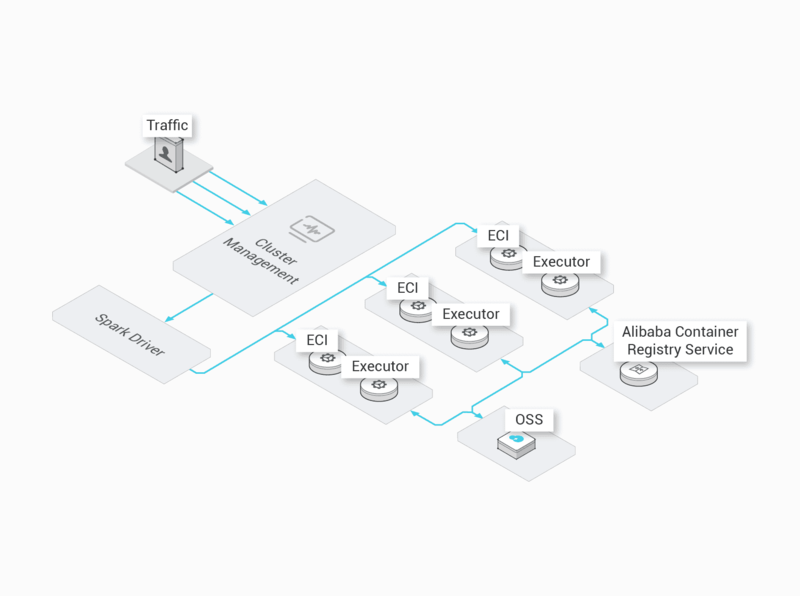 ECI supports automation and scaling without need to create and maintain clusters. Containerized immutable infrastructure is supported. ECI provides a set of debugging, monitoring, and log analysis tools. The ECI is serverless container infrastructure, that is capable of handling highly concurrent events. Provides a immutable runtime for complex events.